The Oxford Handbook of Hobbes collects twenty-six newly commissioned, original chapters on the philosophy of the English thinker Thomas Hobbes (1588-1679). Best known today for his important influence on political philosophy, Hobbes was in fact a wide and deep thinker on a diverse range of issues. 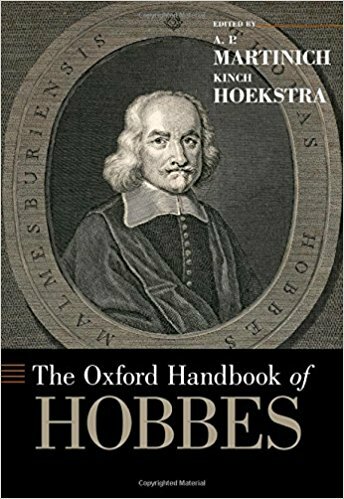 The chapters included in this Oxford Handbook cover the full range of Hobbes's thought--his philosophy of logic and language; his view of physics and scientific method; his ethics, political philosophy, and philosophy of law; and his views of religion, history, and literature. Several of the chapters overlap in fruitful ways, so that the reader can see the richness and depth of Hobbes's thought from a variety of perspectives. The contributors are experts on Hobbes from many countries, whose home disciplines include philosophy, political science, history, and literature. A substantial introduction places Hobbes's work, and contemporary scholarship on Hobbes, in a broad context.